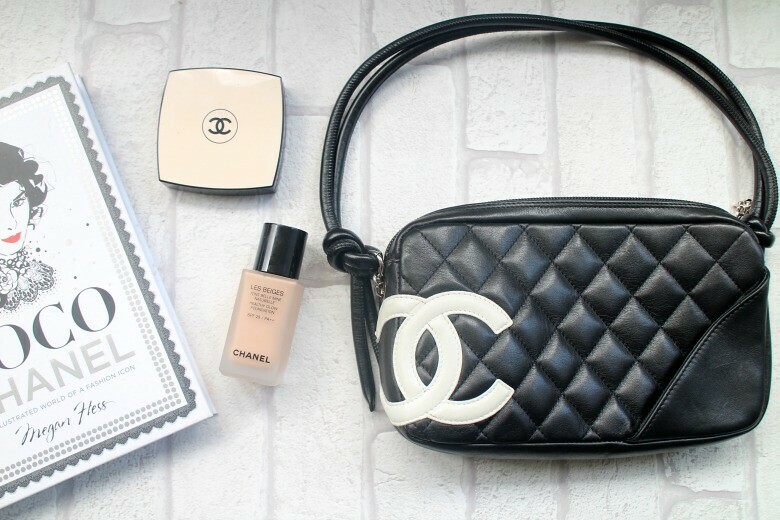 Today I’m revisiting my handbag collection series to share with you my first purchase from Chanel, the quilted Chanel Cambon Pouchette. I’d like to tell you that angels sung when I made this purchase of what is a rather lovely bag and my first Chanel at thay but it was a little bit disappointing. Until its purchase sometime in the early 2000’s I had of course lusted after the classic Chanel bags which at the time (and more so now for that matter!) were out of my price range. During a shopping trip to Harrods I spotted this cute little bag for the 'bargain price' of £550, well that seemed achievable. And whilst I look back now, and the reason for my regret was why I didn't just think let's save a little bit more money and buy the bag I really wanted. Clarly the impatient gal I am got the better for me and buying 'any Chanel' seemed like a great idea and I can’t deny that the bag has treated me well. I had this in my possession at a time when I was out all night partying and I wouldn't treat it particularly kindly. In fact it actually ended up with the zip pull breaking and the lining all torn in the inside which was actually a blessing as I lost it one night in my local nightspot. When I called the next morning to enquire whether it had been handed in they confirmed it had but my camera had been taken. Note the camera was decidedly cheaper than the bag. Obviously this was not a time when everyone had a designer label hanging off their arm whether it was Michael Kors or YSL so it would seem that whoever stumbled across the discarded bag was ignorant to the beauty of Chanel and even if they were decided that this was clearly a fake and not worth their time. As bag for nights out this bag was very handy. It was the more 'sophisticated' version of my Louis Vuitton Accessories Pouch and being black would 'go with anything'. It's a fair size that would hold my camera, the larger mobile phones of it's time, sufficient cigarettes to take me through a night out and some make up for touch ups. As life changed and different bags and my occasions for a night out differed I cannot tell you the last time I used this bag which is a shame. Today I prefer a crossbody bag for nights out or perhaps a clutch and there's something about the strap which isn't long enough to sit too comfortable under the arm, in fact the bag will literally sit in my armpit and it's feel quite bulky. For whatever reason I don't find myself reaching for it very often although as I type this post I think I need to change that, especially as it's not a style that Chanel make any longer and you'll only be able to find a preloved one now if it's something you wanted. 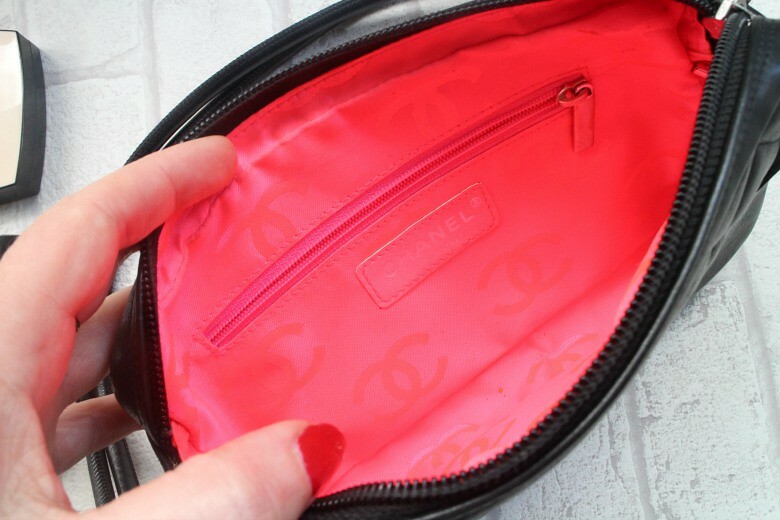 I mentioned earlier in this post how I didn't treat the bag too kindly and as I've watched the recent YouTube videos of peoples handbag collections and how well they treat their bags I decided to show my Chanel Cambon Pouchette some love. I took myself to the Bond Street Chanel Store and sought out having it repaired. That is the beauty of spending an obscene amount of money on a bag that repairs will be done, and often free of charge. The lining in my bag was replaced, not with the exact same bright pink lining but a different one which makes this bag 'an original' of sorts. They replaced the broken zipper and it is 'good as new'. Another pro for making an expense purchase is that this bag has lasted without a spot of damage other than what I mentioned and now it's had it's make up it is really as good as new. If there is any lesson to be learned if there is a bag you desire, save up for it. The price of designer handbags is rapidly rising so I'd argue the longer you put off buying the bag you want the more expensive it'll become. 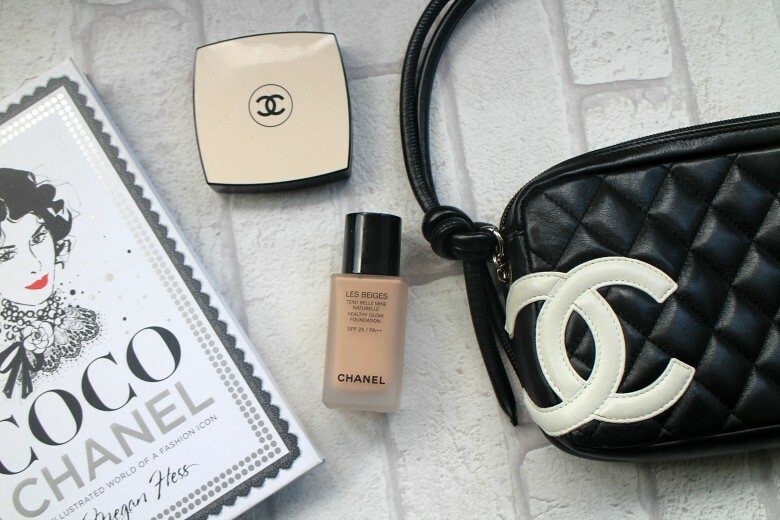 I am lucky enough to own two additional Chanel bags, the Classic I so lusted after which I will share with you in another post but I can tell you it was purchased for not much more than the Chanel Wallet on a Chain I brought earlier this year. If I were looking into it's purchase now I really don't think I would be able to justify it's purchase. Are you a Chanel handbag fan? It makes a change and certainly perks up the black!